I write because I want to be heard. When I was younger and people asked why I write, I said I wrote for myself and blew off any suggestion that I hoped it would ever go further than that. I worried people might read what I had to say and think it was stupid or that I couldn’t write. Saying I wrote just for me took the pressure off. I was afraid it was arrogant to write for others, as if I could have something to say. I was afraid to succeed, nervous that people would actually want to read my writing. I wanted people to see me through my writing and at the same time, I was terrified of being seen and of being judged. This is the risk all writers take. Writing is something we are compelled to do; the risk is inevitable. There is no question that I enjoy writing, but it’s also essential for me to figure out how to live in this world, to challenge myself, to understand my feelings, organize my thoughts, and remind me my voice is important. As a woman, I have things to say, though women’s views are often dismissed and ignored, silenced, or drowned out. I write myself into the world for the times I have felt invisible. I write to document my existence and my experience as a woman. I write to express what I see in the world and for my hope that the world can change for the better. I write to make that change. I write for me, but I also write as an art form, to influence people, to have my ideas considered and discussed. I write to explore the development of my thoughts and to further develop my thinking. I write to sense delight from simple pleasures, to try to describe the rich bitter heat of coffee on my tongue, to piece together a unique word puzzle to explain my feeling from the body-slam-hug my two-year old son gives me, to remember through shaped sentences, the pattern my godmother’s fingers make on my forehead when she blesses me. I write to record the color of the inside of my skin in words that have nothing to do with color. I write to solve the algorithm of strength in my muscles so I don’t have to explain when I give up or when I don’t. I write to understand how I can push the world’s limits as well as my own. I write to explore myself both in and out of societal roles and gender stereotypes and to evaluate how I can live outside them, or whether that’s even possible. I write to try to understand the customs and beliefs of others and the ones I hold for myself. I write because I want to hold onto my life as it passes by. The dilemma that I might miss life while I write, settled in the continuous calligraphy scribble of my pen across the page, the filling of one notebook after another. I write to record my history and to remember the daily uneventful details of the boring routines as well as the boastful charade of the more daring days and I write to fit all of it into a shaping of me, whether it’s through poetry, novels, or plays. That’s what this essentially is, this life of writing, the shaping of myself in order to understand what this world is, who I am in it, and how I might impact it with my voice, to make it better, not just for myself, but for everyone in it. I write because I enjoy writing. I write for myself, to be heard by others, and to be fully me. 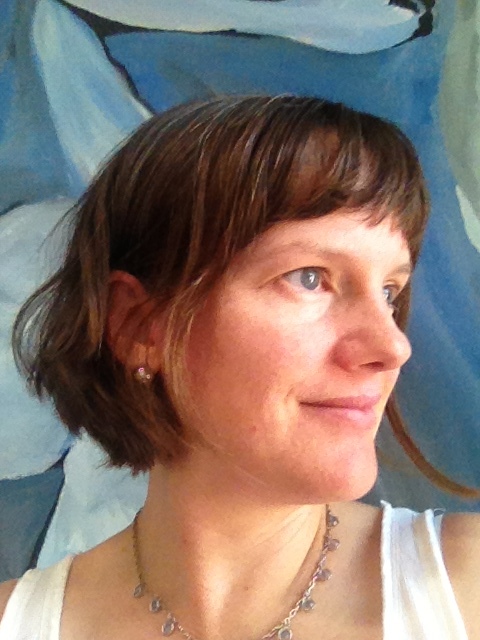 BIO: Liza Wolff-Francis is a writer and social worker living in Austin, Texas. She holds an M.F.A. in Creative Writing from Goddard College and her work has appeared in various publications, including Border Senses, Pitkin Review, Earthships Anthology, Adobe Walls, “How To: Multiple Perspectives on Creating A Garden,” and the Radical Idea blog. She was a proud member of the 2008 Albuquerque Poetry Slam Team and writes and maintains the feminist blog Matrifocal Point. Previous Previous post: Laurie Mellas-Ramirez writes because…. Next Next post: Rico Gallegos writes because….